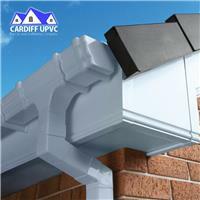 Cardiff UPVC, Fascia & Guttering are your choice of experts for Cardiff & the south wales area. We know how important it is to look after your home. Your guttering, Fascia soffits & UPVC all play an important role in protecting your home! All these things are proven through our excellent reputation and long list of satisfied clients, attention to detail, quality workmanship, clear communication, honesty and integrity make us the 1st chose for UPVC and Guttering in Cardiff!